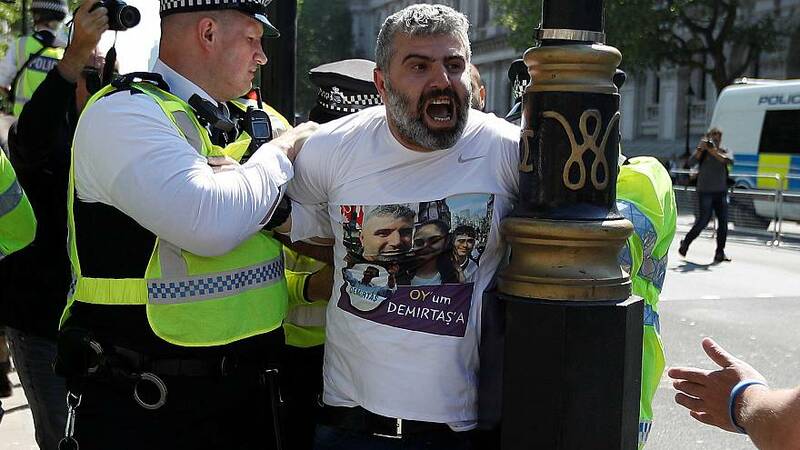 Scuffles broke out between two groups of protesters and police outside Downing Street, ahead of Turkish President Recep Tayyip Erdogan's meeting with Prime Minister Theresa May later in the day. As police moved pro-Erdogan supporters past a Kurdish protest to a designated protest area, clashes broke out between pro- and anti-Erdogan supporters. Police used batons to bring the situation under control and made at least three arrests. Erdogan arrived in the United Kingdom on Sunday for a three-day visit.